There are three award programs for CSF members. The Seymour Memorial Awards were established to honor both Charles F. Seymour and his devoted wife, Marian H. Seymour, who together supplied the inspiration and leadership which fostered the California Scholarship Federation. The very first award of $25 was presented to Seymour Award recipient Elizabeth Murphy (O’Neil) of Fresno High School in 1936. The Seymour Award is regarded as one of the highest scholastic honors given to high school students in the state of California. Students must be nominated by their CSF Adviser. Nominees must have earned Sealbearer status by the end of the first semester of their Senior year. Student finalists must attend the spring conference in his or her region. Over $100,000 is awarded to a group of 50 graduating Sealbearers each year. Each spring, regional subcommittees of five advisers choose outstanding Life Members (Sealbearers) from among candidates nominated by their advisers by the February deadline within each of the five regions. Each year, 50 finalists receive awards of $2,000 each, and five of these (one per region) each receive an additional $3,000 as the regional award recipient. The award is now regarded as one of the highest scholastic honors given to secondary school graduates in the state of California. Advisers of active CSF chapters in good standing* are eligible to nominate one or two students each year. Nominees must have earned Sealbearer status by the end of the first semester of their Senior year. Advisers must submit nominations electronically via the SUBMIT NOMINATIONS tab on this page by the February 18th deadline. Paper nomination packets are no longer accepted. NOTE: The portal is password-protected. Advisers should have received the password via email; if not, please send us a request (office@csf-cjsf.org) and include your school name for verification. Advisers should not share this password with nominees. If you have any difficulties using the online system, please don’t hesitate to contact us for assistance. Nomination Materials: The adviser should assemble all of the following required materials for the chapter’s nominee(s). While an adviser may submit the chapter’s two nominees separately, it is not possible to save a nominee’s partial application to complete later. As such, please collect all of the following materials before accessing the portal to submit your nominee(s). Click on the tab to read PREPARING FILES FOR UPLOAD for details about naming documents. High school transcript (PDF) – Must include first semester senior grades. The transcript should also show any classes taken off-campus for which the nominee has received credit. Nominee’s Personal Statement (PDF) – Limit to 2 double-spaced pages. Parts of this statement may be quoted at the spring conference. Two Recommendation Letters (PDF) – Limit each to 2 double-spaced pages. Parts may be quoted at the spring conference. CSF Adviser – Please address how your nominee has exemplified the CSF motto “Scholars for Service” in some or all of the following areas: the school environment, leadership, service to the community, and your CSF chapter. Help us understand his or her character. Make sure we know why you have nominated this student. Anecdotal evidence is often persuasive. Community Member – outside of school, not from a relative. This letter should focus on the nominee’s character and role in the community. It should be written by an adult who knows the nominee well outside of the school environment. Persuasive letters have been written by supervisors of volunteer or paid work, community service club advisers, neighbors, religious leaders, etc. The writer should include how long he or she has known the nominee and in what capacity. CSF Publicity Release – Seymour Award. Early March: Ten nominees from each of CSF’s 5 regions will be selected as finalists. Finalists and their advisers will be notified by email, and the names of finalists will be posted on our website and Facebook page. Each of these finalists will be awarded $2,000 (see NOTE below). Throughout March/April: At each regional conference, the region’s ten finalists will be interviewed to select the recipient for the region. Each region’s recipient will receive an additional $3,000. NOTE: If selected as a finalist, the student must attend the spring conference in his or her region and fully participate in the interview process on that day in order to receive any financial award. Finalists who are not able to attend the conference to participate in the interview process will forfeit their award. We will be looking for those Sealbearers who best personify the CSF motto, “Scholars for Service.” The selection is made on the basis of character, leadership, and service. Demonstrated excellence in both service and scholarship is key to a nominee’s selection. Use this exemplar as a format for Student Activities List to be submitted with nomination. The nomination form requires six files to be uploaded when completing the nomination form. Only Word and PDF files are acceptable. Nominations must be submitted online. Paper nomination packets are no longer accepted. The nomination form is available here on January 1, 2019, and must be submitted by February 18th, every year. You need a password to access this form. If you need the password email: patricia@csf-cjsf.org, please include your school name and chapter number. If you need any assistance throughout the nomination process, please contact CSF Director of Technology at patricia@csf-cjsf.org. We look forward to working with you. Who received the Seymour Award in previous years? 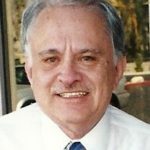 The Glenn Michelson Memorial Award was established in 2012 in memory of the late Glenn Michelson, past 20-year CSF adviser of Sequoia High School in Redwood City and past Board of Directors member who served as State President, CSF Registrar, Regional Vice-President, Historian, and Legislative Chair. He was a strong advocate of our CSF motto promoting community service. Upon his passing, Glenn bequeathed funds to CSF, and the Board of Directors voted to have an annual essay contest in Glenn’s honor open to high school CSF seniors who have a passion for service. The due date is December 22nd, Glenn’s birthday. All Senior CSF members may apply. Submissions will be accepted beginning: November 1, 2018. Application deadline: December 22nd every year. This $1,000 award is available to all seniors who are members of a CSF chapter in good standing. The award recipient and his/her adviser will be notified by the selection committee by mid-February. The Michelson Award is available to all seniors who are members of a CSF chapter in good standing. Eligibility is NOT limited to Sealbearers as it was when the award first began. The CSF motto is “Scholars for Service”. How does your commitment to service exemplify this motto? Essays must be submitted via Submit Application tab on this page no later than midnight on December 22, 2018. An email address where we can contact you; please use a non-school email or your parent’s email. Your CSF Adviser’s name and email address. Your school Principal’s name and email address. 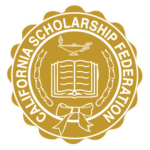 The winning essay will be selected by a committee comprised of California Scholarship Federation board members. Essays will be evaluated on the basis of (1) relevance to the prompt and (2) quality of writing. Honesty and academic integrity will be expected of all submissions, and any occurrence of plagiarism is unacceptable. Failure to comply with any of the above rules will result in automatic disqualification. The award recipient and his/her adviser will be notified by the selection committee by mid-February. If you need any assistance throughout the application process, please contact CSF Director of Technology at patricia@csf-cjsf.org. Who received the Michelson Award in past years? The Outstanding Sealbearer Award was established in 2015 to recognize graduating Life Members who demonstrate great effort and motivation, have great potential but are overlooked in other awards, and need financial assistance to achieve. Five students are recognized, one in each CSF region. Advisers of CSF chapters in good standing may nominate one candidate, and a committee of Board members selects one recipient for each region. Nominations will open January 1, 2019. The award is for $1,000 to be presented in the spring to five students in the state, one student from each of the five CSF regions. *Chapter dues current through 2018-19 school year, Course Lists submitted and approved 2018-19 school year. An adviser from a chapter in good standing* may nominate one student (one per chapter) via the Submit Nomination tab. Outstanding Sealbearer Award recipients will be announced at their respective regional conferences in the spring. If the recipient is not in attendance at the conference, the award check will be mailed to the recipient’s adviser. Nominations will be assessed according to the the six Eligibility Criteria. Nominations must be submitted online. The nomination form will be available here. Nominations close on March 1st at midnight. Advisers need a password to access this form. It is in emails sent out regarding this award, and at the bottom of most emails sent to advisers over the past few months. If you need the password email: patricia@csf-cjsf.org. If you need any assistance throughout the nomination process, please contact CSF Director of Technology at patricia@csf-cjsf.org. Who received the Outstanding Sealbearer Award in previous years?